Katy is an actor, writer, comedian, director and improviser. She trained in Drama at the University of Hull before finding her true passion in long form improvisation at iO Chicago, Second City Chicago and with teachers from Annoyance, UCB and other world class training schools. Katy has been a member of the award-winning Maydays since their founding year in 2004. She performed in a duo with Rachel Blackman for over a decade and has been with science fiction show Project2 since 2012. Katy is a Funny Women Finalist, Latest Comedy Show Award nominee, a sketch comedian and has written and starred in several acclaimed live comedy shows including Schutte the Unromantic and Who Ya Gonna Call? a fan-tribute musical. Her latest production is a folk-horror play entitled Let's Summon Demons. Her book The Improviser's Way is published by Nick Hern Books. You can often catch her in nerdy comedy shows and TV commercials. Katy lives in London and teaches and performs all over the world. Katy has performed with the Maydays for 13 years, spent over a decade as half of the two-woman longform show Katy and Rach, plays with sci-fi improv team Project2 and in the Destination podcast. Katy coaches longform teams and leads public workshops in England, Europe and the States. She has toured with Fluxx, improvised musicals with The Maydays, Music Box and Baby Wants Candy and notably guested in the London and Liverpool Improvathons, Grand Theft Impro, Whirled News Tonight, The Armando Diaz Experience and Messing with a Friend. Katy is also a sketch comedian, actor, writer and theatre-maker. She directed The Watery Journey of Nereus Pike, wrote and starred in Who Ya Gonna Call? the Ghostbusters fan-sical, is one of the Knightmare Live team and currently performing her solo comedy hour Schutte the Unromantic. Katy’s first book The Improviser’s Way is coming out this year. Katy has performed with the Maydays for 12 years, is half of the two woman long form show Katy and Rach, produces Geekeasy with sci-fi improv team Project2 and plays in the Destination podcast and live shows. She coaches long form teams and leads public workshops in England, Europe and the States. She has toured with Fluxx, improvised musicals with The Maydays, Music Box and Baby Wants Candy and notably guested in the London and Liverpool Improvathons, Grand Theft Impro, Whirled News Tonight, The Armando Diaz Experience and Messing with a Friend. Katy is also a sketch comedian, actor and theatre-maker. 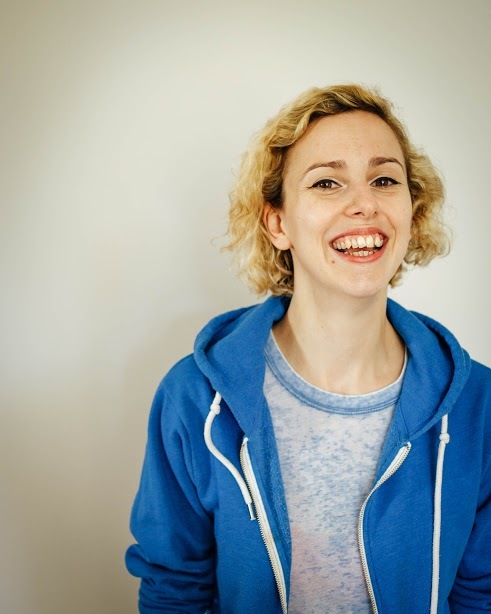 ​Katy trained at Hull University, Second City and IO Chicago, as well as with teachers from the Annoyance, UCB and more. 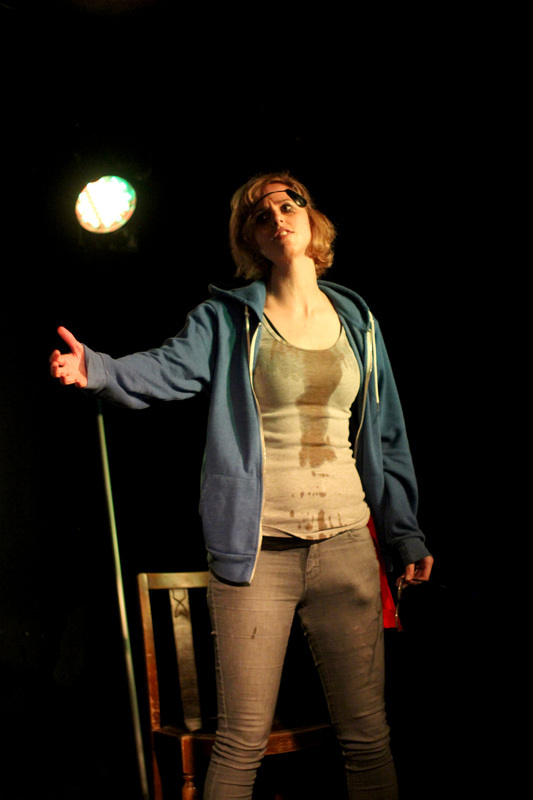 She is a Funny Women finalist and winner of the Brighton Festival Fringe Best Comedy Show award. 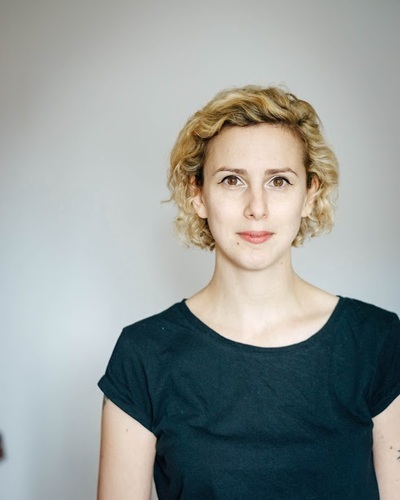 She is an improviser who has performed throughout Europe and the US. Her regular teams are The Maydays and Project2. She has toured with Fluxx, improvised musicals with Music Box and Baby Wants Candy and has guested in many world-class improv shows. 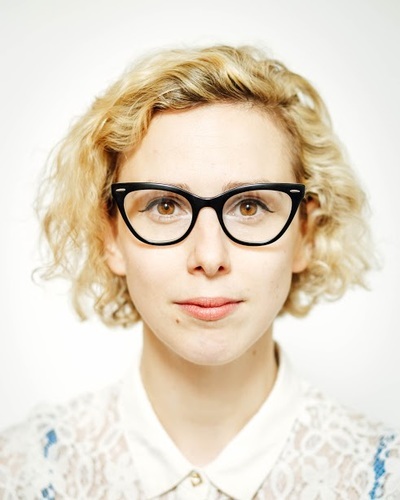 Katy spent several years in satirical sketch comedy with the Treason Show and NewsRevue. She has performed in various site-specific immersive theatre shows including The Butcher of Baker Street for Forked Path and The Department of Unreliable Memoirs. Katy performed at the Edinburgh Festival Fringe in 2013 & 2014 with her musical Who Ya Gonna Call? which received rave reviews and left standing room only. In 2014 she performed her solo theatre show I Have an Idea for a Film. Katy improvises in the podcast Destination, is currently performing in dungeon crawling nostalgia show Knightmare Live and improvised musical Happily Never After. She has recently been making historical comedy film shorts with History Bombs. Katy acts in TV and online ads for brands such as Giffgaff, Beechams, Barclays, 118 Money, Lidl and Nandos.